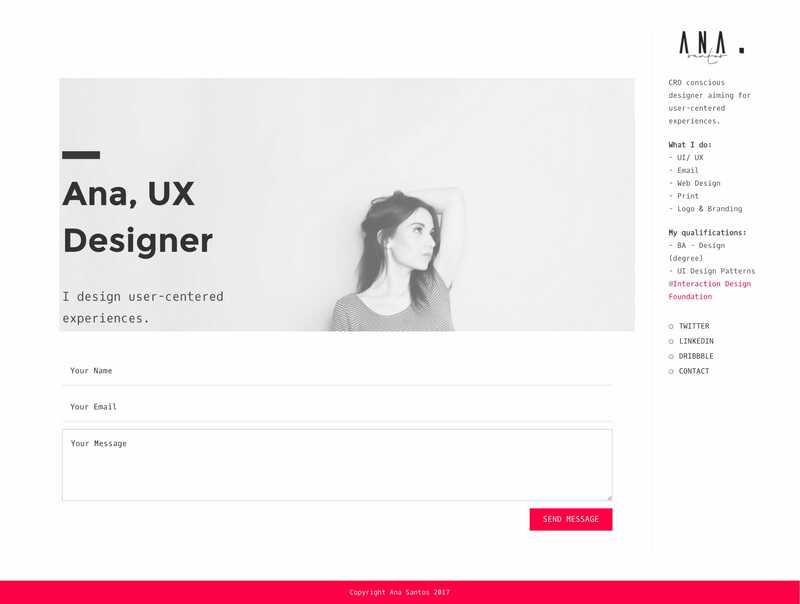 Minimal personal page for UX designer, Ana Santos. Neat little touch loading up the contact form with a subtle parallax as your scroll. I'm a Manchester based UX Designer, I wanted something minimalist to showcase my experience and links while I update my portfolio.